Giles Milton reads from Paradise Lost, Smyrna 1922: The Destruction of Islam's City of Tolerance. talk & booksigning for "Paradise Lost: Smyrna, 1922"
Following WWI, Smyrna was a prosperous, cosmopolitan port on Turkey's Aegean coast where Greeks, Turks, Armenians, Jews and other nationalities lived in harmony. Then, the unthinkable happened. "Paradise Lost: Smyrna, 1922" is historian Giles Milton’s searingly vivid account of the city’s destruction ­ a nearly forgotten war in which a great modern city burned for four days, 100,000 people were killed, and millions more left homeless. Giles Milton is a journalist, historian and best-selling author of five previous works of nonfiction including "White Gold," "The Riddle and the Knight," "Big Chief Elizabeth," and "Nathaniel’s Nutmeg." He lives in London. Giles Milton's book Soldier, Sailor, Frogman, Spy, Airman, Gangster, Kill or Die: How the Allies Won on D-Day is currently available from LibraryThing Early Reviewers. 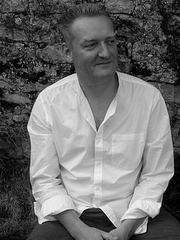 Giles Milton is currently considered a "single author." If one or more works are by a distinct, homonymous authors, go ahead and split the author. Giles Milton is composed of 4 names. You can examine and separate out names.